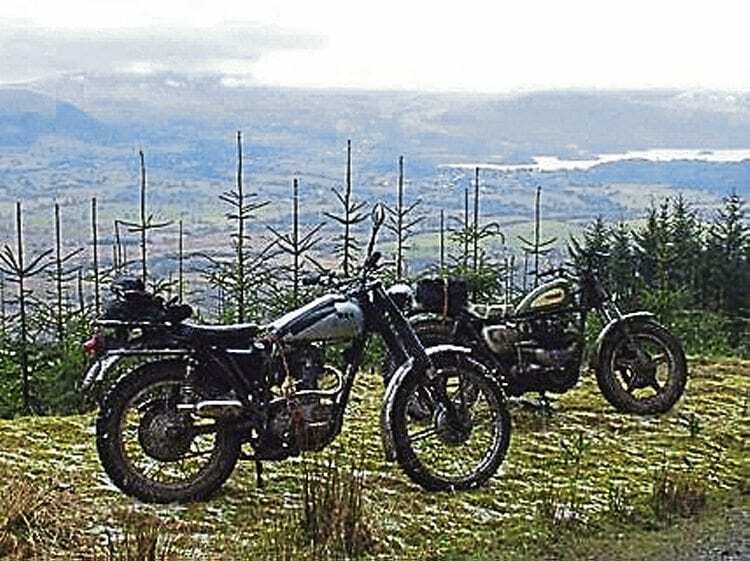 Graham Lampkin has become the Association of Classic Trials Clubs’ motorcycle co-ordinator responsible for all bike-related matters. The trials have entries of both bikes and cars, and share most sections, with the bikes going first. They cover planned 60 to 100-mile routes including public roads and private tracks, and perhaps 15 to 18 observed sections and a couple of tie-breaking special tests against the clock. Any kind, or age, of bike or rider is welcome. The sections aren’t scored as in bike trials, but on a graduated basis from 12 to 0 depending on how far you get before a ‘fail’ occurs by a rider’s foot touching the ground or a car stopping. Because of the four-wheel element, the sections aren’t tight or severe, but they are long and more like hill climbs up rutted tracks, the kind of going that might be encountered in trail riding. Such sections lend themselves to trail bikes (of any age) fitted with trials tyres, and there are classes for modern bikes of different engine capacities, pre-1970s bikes with British frames and engines, and sidecar outfits. Read more in January’s issue of OBM – on sale now!